This is actually my first time baking banana bread. I bake breads quite often, but if I am adding fruits or vegetables to a baked good, my go to is usually pumpkin puree. This time, I thought I would change it up and add some carrots in for added nutritional value and natural sweetness. Preheat oven to 375 degrees F. Grease a loaf pan and set aside. Grate carrots and set aside. Mash bananas with a fork and set aside. In a large mixing bowl, combine all dry ingredients (except oats) and mix until uniform. To the bowl, add carrots, bananas, oil, vanilla, egg and milk. Combine ingredients (being careful not to over mix). 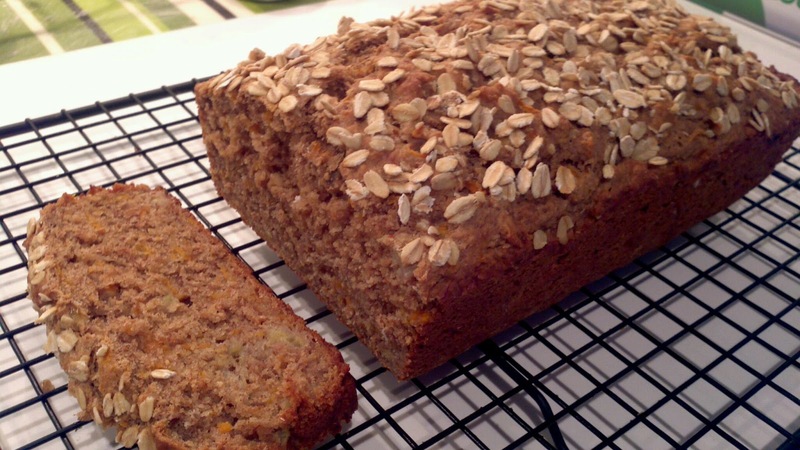 Pour batter into loaf pan and top with oats.